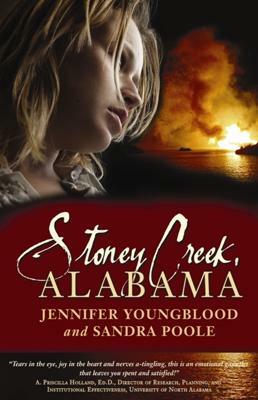 Something is telling Sydney Lassiter that she needs to return to the town of Stoney Creek, Alabama, where she grew up. Just out of college, she hasn't been there since her father was killed in a boating accident--or was he murdered? She takes a job as a safety consultant at the local sawmill--the same place where her father worked--and sets out to discover the truth about his death. In Stoney Creek, you don't ask the kinds of question Sydney is asking. There are too many secrets--secrets that someone will do anything to keep hidden. To complicate matters, Sydney becomes entangled in a confusing love quadrangle involving two men, and the other woman, who seems to want both of them. And both men seem to have some connection to the death of their father. The more Sydney delves into the mystery surrounding the loss of her father, the more it seems that her quest could destroy not only her but the people and town she loves. Join in and write your own page! It's easy to do. How? Simply click here to return to Share Your Favorite Mystery Stories.